Since 2016, we've been re-thinking and improving the extraction process. 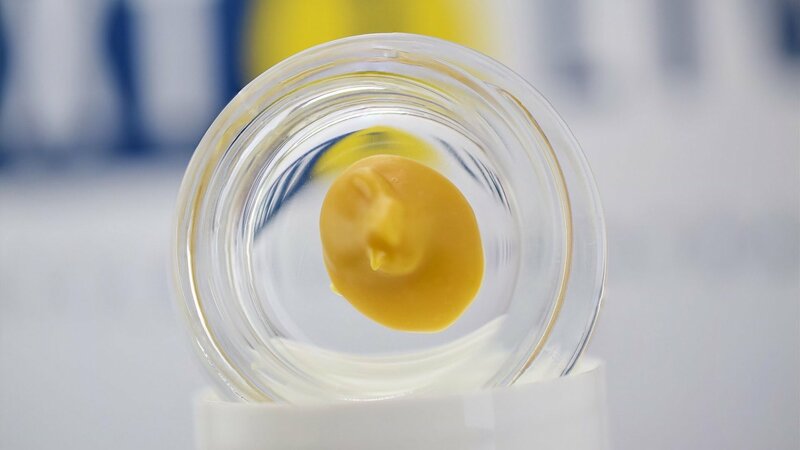 Our extraction platforms are packed with innovative, time-saving features not found anywhere else. 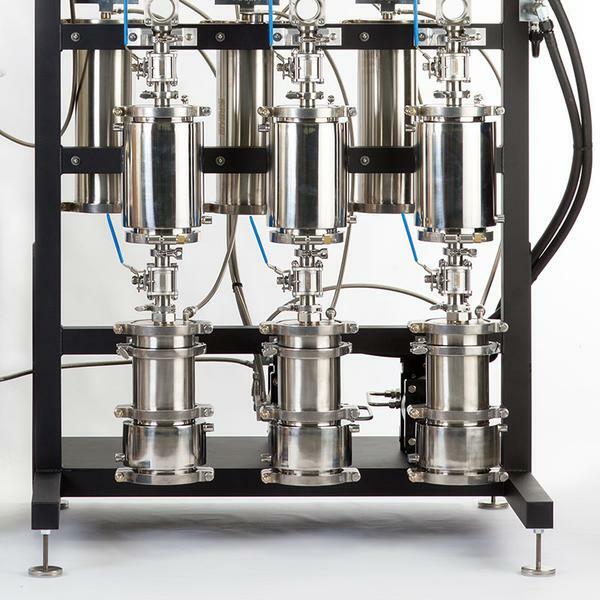 From our industry-first 350psi inline sight glasses, to 5 micron stainless steel butane filters, to our industry leading GOLIATH recovery pumps, we're excited to show you what our systems can do for your concentrates game. 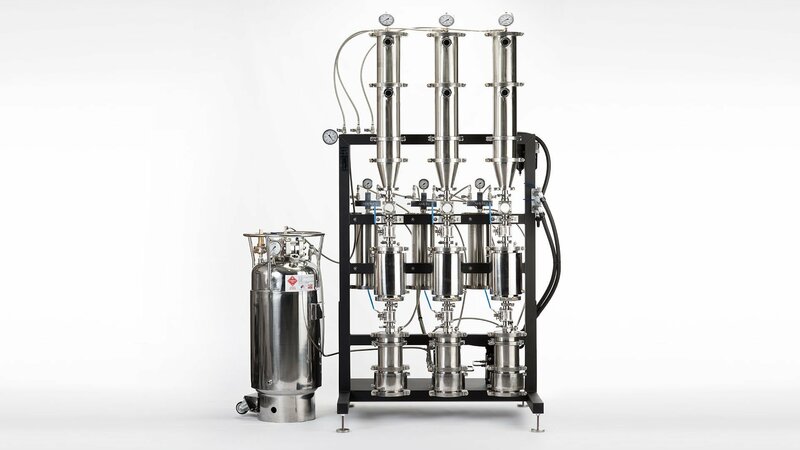 The three column, dual pump designs allows for the extractor to be run continuously with two columns extracting while the third is being reloaded. Since each column is completely independent, and all hoses use dry-break fittings, any column can be soaking, recovering, or removed at any time during the cycle process. . 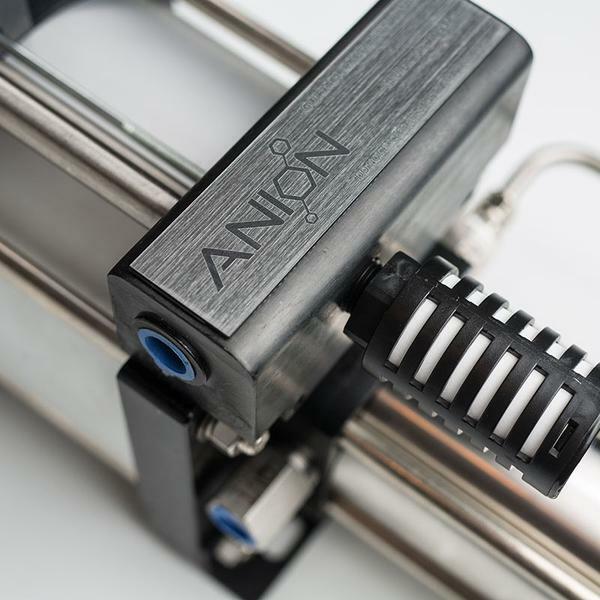 The ANION extraction system has been designed so 100% duty cycle is attainable with a round-robin format. Goliath Dual Stage extraction pumps are hydrocarbon rated and ideal for recovering butane, propane, and similar solvents. Because it is pneumatically driven, it is 100% safe and legal to use in a Class 1 Division 1 rated room. 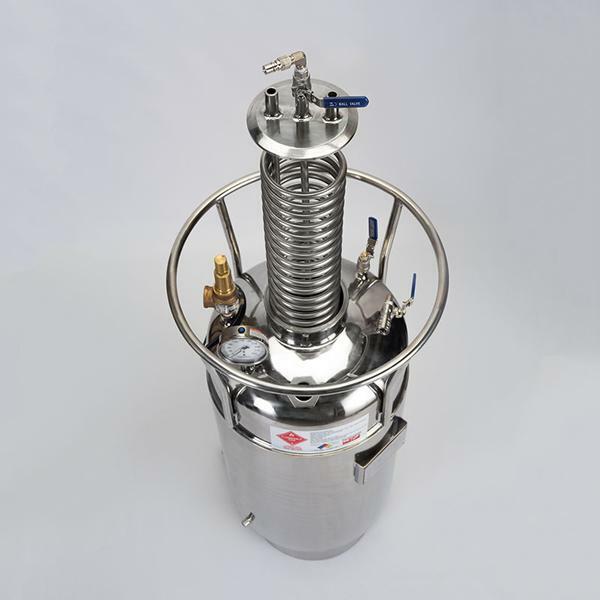 Engineered to move large volumes quickly, this pump is ideal for anyone looking to make their essential oil extraction machine operate both quickly and safely. These mammoths boast some of the fastest recovery times on the market with a single pump recovering 1 lb of butane in as little as 1 minute. And with the ability to pull vacuum, these pumps have the potential to drastically increase overall productivity. 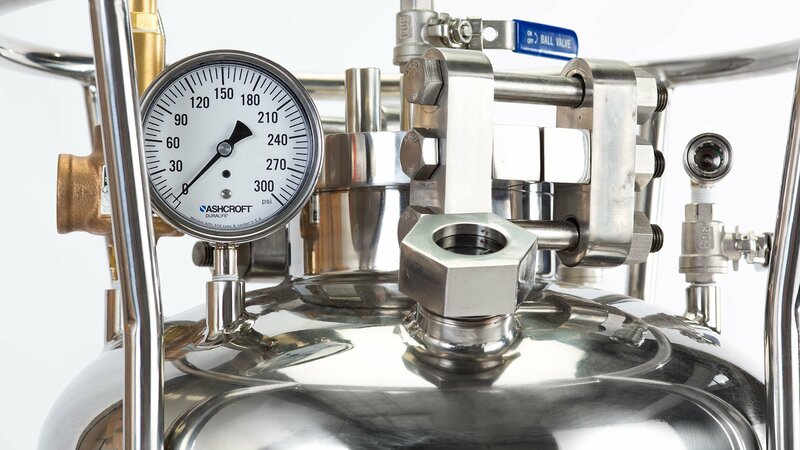 Every certified ANION extractor now includes our 100lb / 111L 304 stainless steel, jacketed ASME U-Stamped solvent tank, complete with an Aquatrol ASME safety valve, Ashcroft pressure gauge, quick connects, internal cooling coil, and built-in casters for easy transportation. We believe in our product, and stand behind it. All our extractors are covered by a lifetime warranty against manufacturing defects (consumables and pumps excluded). Our flagship TRIFECTA extractor is capable of processing up to 360lbs in 3x 8hr shifts, or a 24hr cycle. Sight glasses are a vital part of the extraction process. Each TRIFECTA extraction platform has 13 individual sight glasses, including our industry first 350psi certified inline sight glasses.